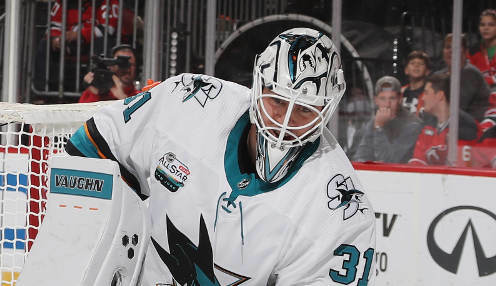 The San Jose Sharks had appeared to be gaining some impressive momentum down the stretch as they battled the Calgary Flames for the top spot in the Pacific Division. However a six-game winning streak now is something of a memory following back-to-back home defeats to the Florida Panthers and the Nashville Predators. Saturday Viktor Arvidsson scored twice and Colton Sissons and Filip Forsberg also lit the lamp for the visitors in a 4-2 triumph for the Predators at the Shark Tank. San Jose has Sunday off before returning to the ice on Monday against the Vegas Golden Knights. Vegas looks good for third place in the Pacific Division come the postseason and should the Sharks be unable to overtake the Flames then this becomes a playoff preview. The Golden Knights, who host the Edmonton Oilers in Las Vegas on Sunday, are 11 points behind San Jose with 11 games to play in the regular campaign and five points in front of the Arizona Coyotes, who currently occupy the second Wild Card place in the Western Conference. Arizona could not pick up the victory on Saturday, but did secure a regulation point before falling to the Oilers. Alex Galchenyuk scored twice for the hosts, but it was Connor McDavid's second of the game that did the trick in the overtime for Edmonton. The Coyotes now hit the road for a four-game Eastern Conference swing that will start against the Tampa Bay Lightning on Monday and continue on for games against the Florida Panthers, New Jersey Devils and the New York Islanders. The Sharks are 11/2 to win the Stanley Cup this year with the Flames 5000/1 and the Dallas Stars 15/2.